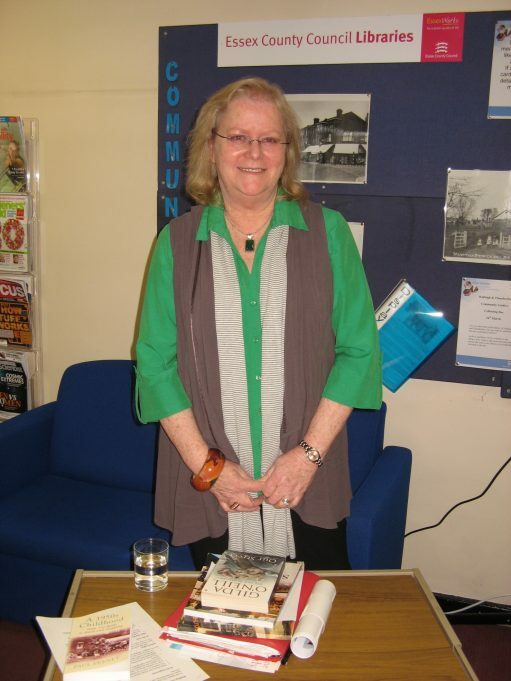 Here are two pictures of Bernardine at Hadleigh Library, 16th March 2011. 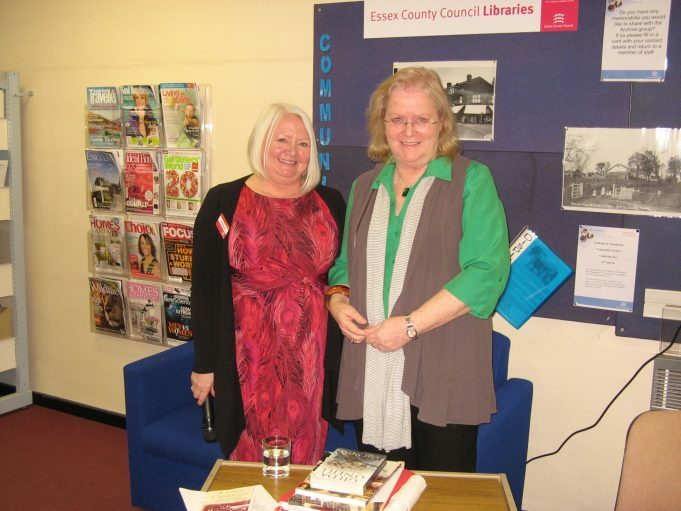 She was introduced as part of the Essex Book Festival by Sue Hampson and recorded by Malcolm Brown. The relevant track is attached by a link on this page. The large audience was interested in Bernardine’s early careers and how they supported her successful writing output. Her current four-book deal is a linked series based on fictional characters but with historically accurate experiences in recent decades. It portrays people across several decades, starting in London and later moving to the Southend area through the 60s and 70s. The closing question and answer session was enthusiastic, the audience evidently containing several potential new writing talents and many of us looking forward to seeing the results of Bernardine’s writing. 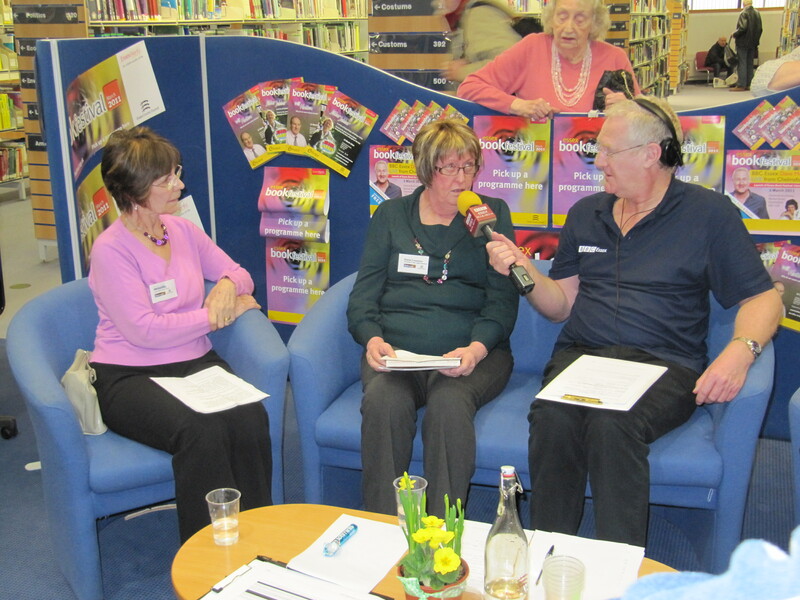 A picture of an equivalent Book Festival event in Chelmsford is at the end of the page, with Dave Monk showing how he can interview with people looking over his shoulder.